Though I finally finished my exams on Thursday I unfortunately haven't been able to get back into the kitchen yet. 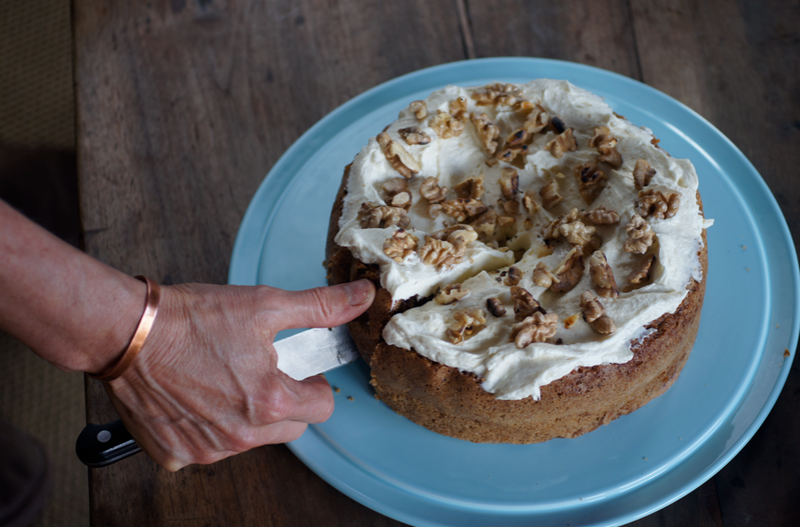 In the holidays I photographed my mum making her favourite carrot cake and so she's going to take over for this post and tell you about this delicious recipe. I am privileged to be asked to be a guest poster for my daughter, Emma. Originally, I was going to do this during her exams but I have been too busy. You may notice that the photos were taken a while ago. So here it is. My brother, Tim, loves this cake so I have just made one with him so that he will be able to make it with his three boys. Baking has been made so much simpler by having scales that will zero once you have put the bowl on. You can see mine in the back of the photo below. 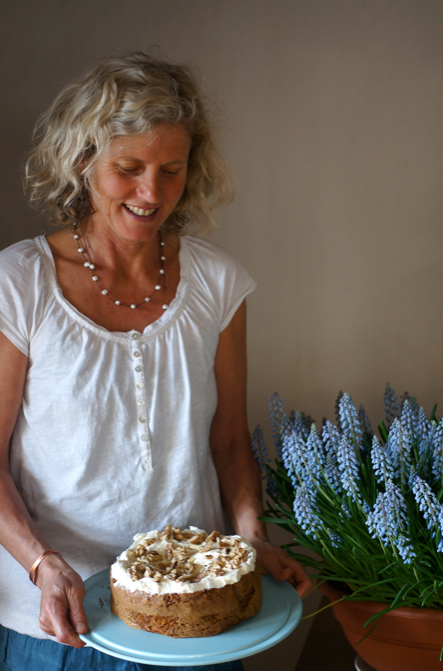 Emma gave me a tip that if you are measuring flour that needs sieving then put the sieve on the top of the bowl, zero the scales and then put in the correct weight of flour- so much simpler! It is a very moist cake and keeps well. I keep it on the side for the first day or two and then put it in the fridge after that. I then take it out to warm up before eating it as it tastes better at room temperature. It also freezes very well. I put single portions on a tray uncovered, freeze them and then when they are solid I put them in a bag. I take my treat out about 2 hours before I want to eat it. I use my simple grater as it creates good sized lumps which show up in the cake, giving it colour and are also big enough to taste. This one did sink but it still tasted wonderful! Preheat the oven to 170C. Grease and line a 20cm springform tin. Sift the flour, baking powder, bicarbonate, cinnamon and cloves together. 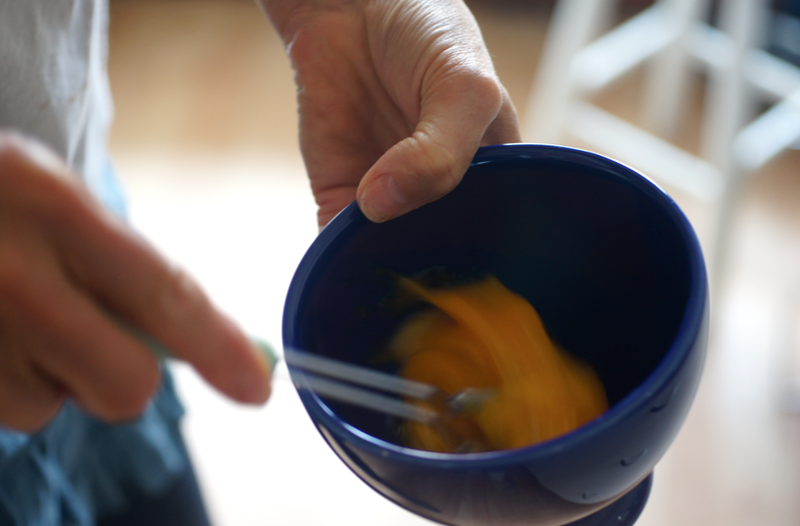 Lightly whisk the egg and egg yolk together in a small bowl. Weigh (note gram measurement) the sunflower oil and place it with the sugar in the bowl of a mixer. Beat on medium for about a minute. Turn down and slowly add the egg mixture until incorporated. Add the walnuts, coconut, carrot and dry ingredients into the bowl and gently mix until combined. 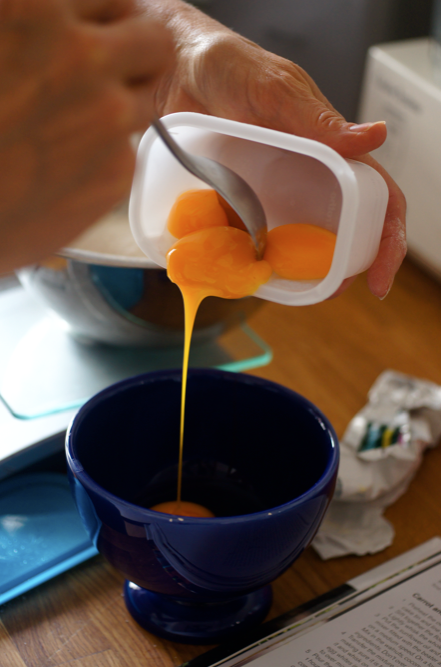 Remove the mixture to another bowl. Wash and dry the mixer bowl. 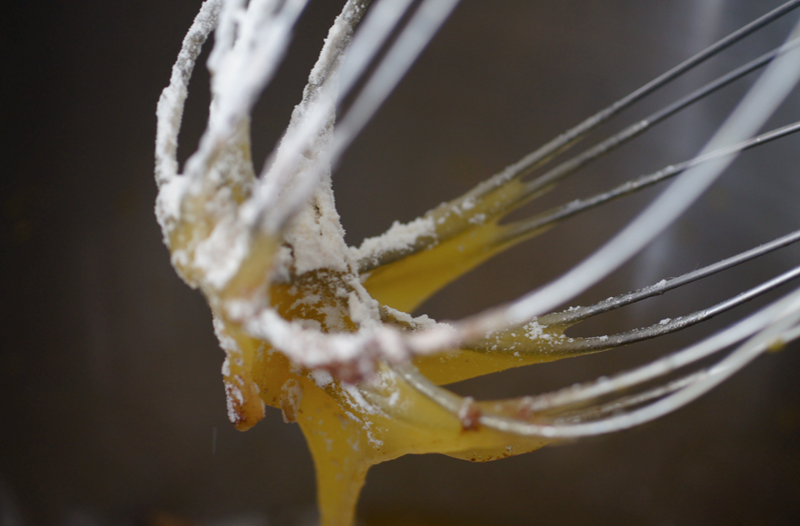 Put the egg whites and salt into the clean bowl and whip to stiff peaks. 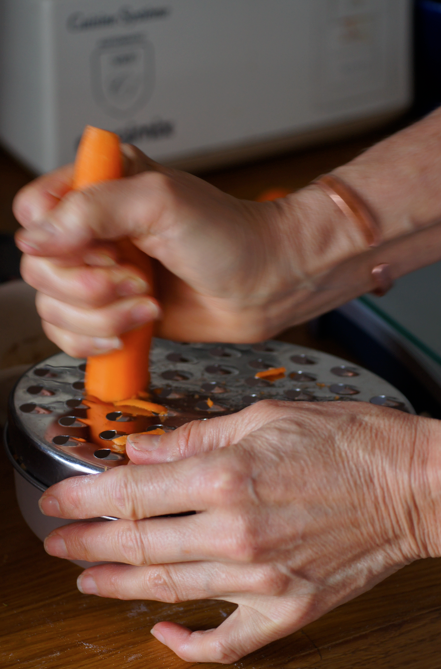 Fold the whites into the carrot mix one third at a time. Spoon into the prepared tin and level. Place into the oven and bake for an hour or until a skewer comes out of the centre dry (it usually takes about 1hr 15 for us). If the top of the cake starts to brown too much, cover with foil. Leave to cool completely on a wire rack then turn out. Beat the cream cheese in a bowl until smooth and creamy. In the mixer beat the butter, sugar and honey until light and fluffy. Fold the cheese into the butter mixture. 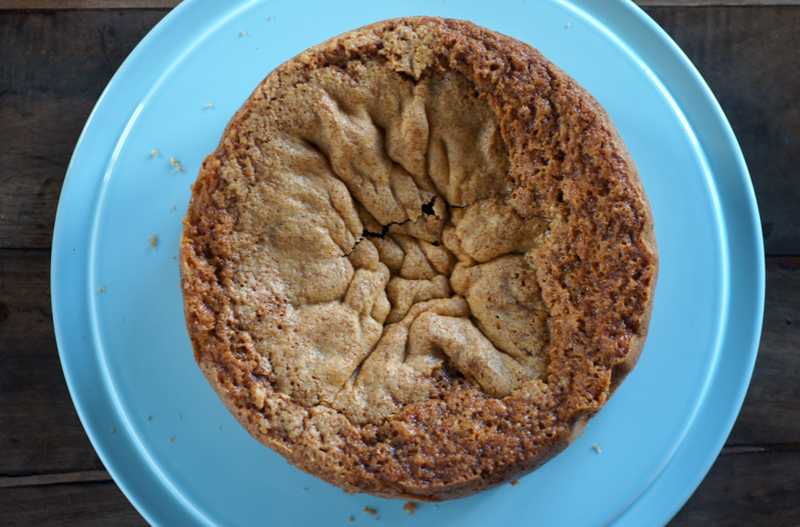 Spread over the cake then top with the walnuts. Enjoy the summer after all your hard work! I have been desperately dearching for a good carrot cake recipe of late, and so I was pleased to find this one. I will be trying it out very soon. This is exquisite! 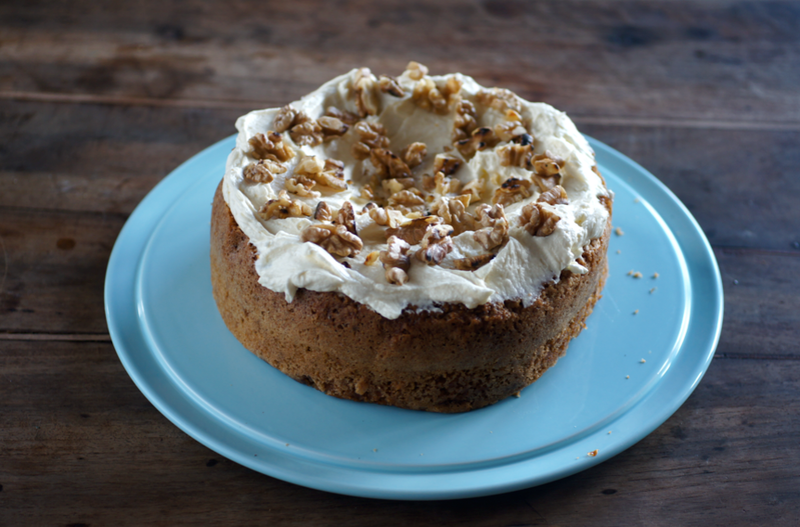 Your mum looks so young, and carrot cake is such a comfort dessert, I'm quite eager to try this recipe, even if I can only have one bite (getting ready for bikini season). The sinking-ness of the cake only makes it more appealling. 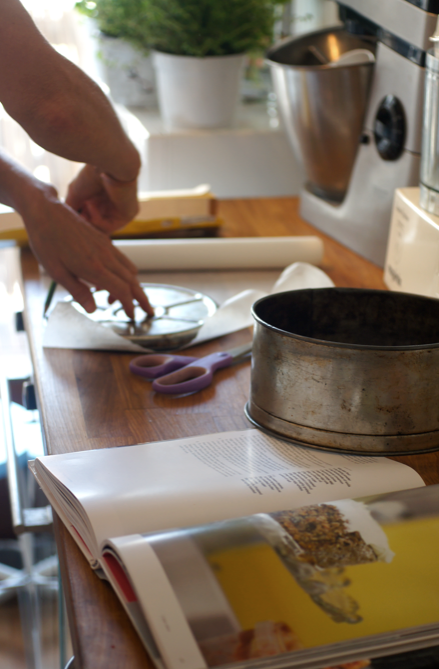 I do that sieve thing too (of course thought I had invented it!) Lovely to have your Mum as a guest 'poster'. It was a delicious recipe and I can't wait to make it at home. I don't really like carrot cake but this one looks so scrumptious! Harriet - orange and lavender sounds fascinating, I'll have to have a look. Thanks for the recommendation! Denver Car Accident Attorneys - You'll have to try it and see if it converts you! Anon - I don't see why not, though they may sink a little too. Perhaps give it a go and see!